It’s been a long time coming, but free-to-play platform fighter Brawlhalla is now available to download on Xbox One and the Nintendo Switch, which is perfect if you can’t wait for Super Smash Bros. Ultimate or if you own an Xbox and you’re looking for an alternative to Rivals of Aether. 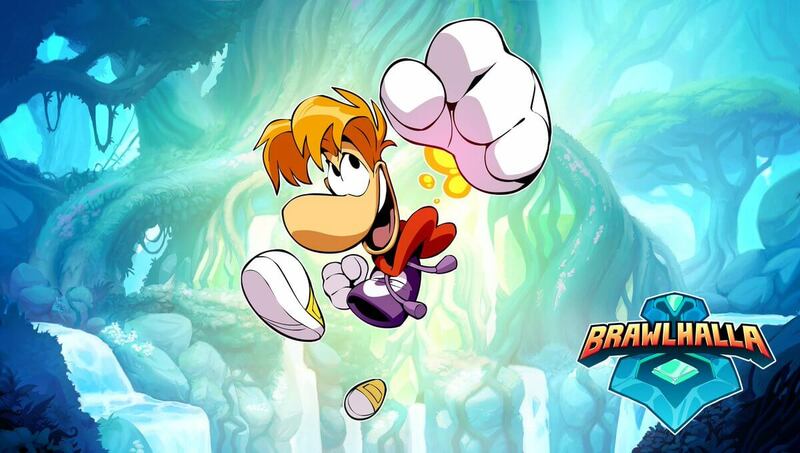 The new releases coincide with the release of Patch 3.32, which includes a host of bug fixes and changes but is noteworthy largely for the inclusion of Rayman as a playable legend. For an added bonus, you can also play Kung Foot in Brawlhalla too. If you own an Xbox and you’re looking to get a feel for what Brawlhalla is like, Blue Mammoth Games announced on their website that there will be a free welcome bundle for the game, which will include the legend Orion and his Dark Age skin, a Trident weapon skin and the thumbs up taunt. If you want to buy all the legends from the get go, it’ll set you back £15.99. Blue Mammoth also say that these welcome bundles will come to other platforms in due time, so don’t feel too left out if you play on PC, PS4 or Switch.